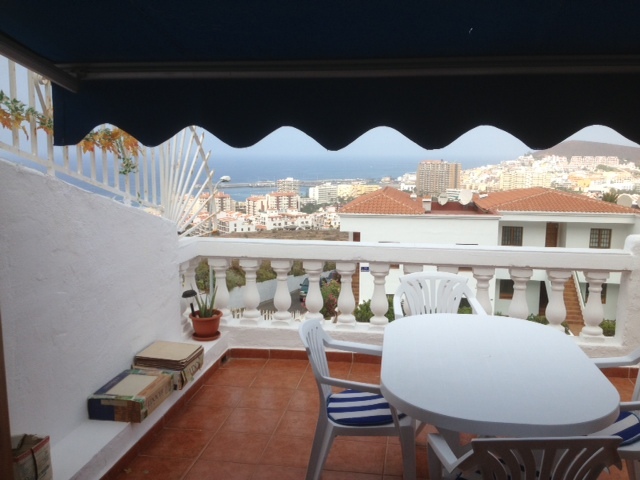 2 bedroom 2 bathroom apartment with fantastic views from the massive sunny balcony. 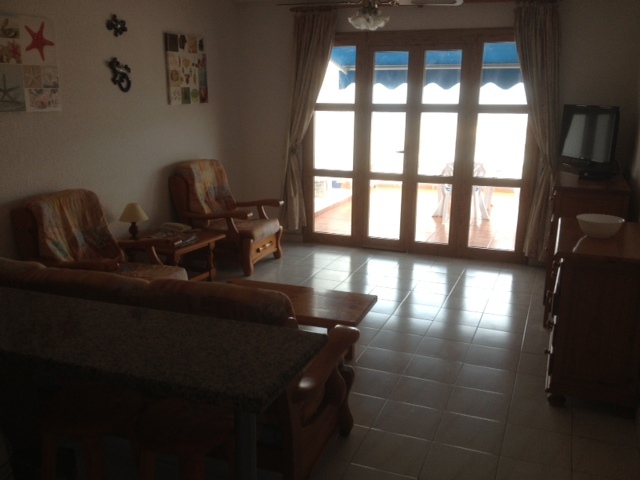 Balcony , Private Large Double balcony with fantastic sea views, outside table and chairs, sun loungers, south west facing - sunny balcony, with amazing Sunsets. Bedroom 1, with King size bed, Ceiling fans, dressing table, large fittedwardrobe, and Frenchdoors leading out to balcony. with sun blinds. En-suite. 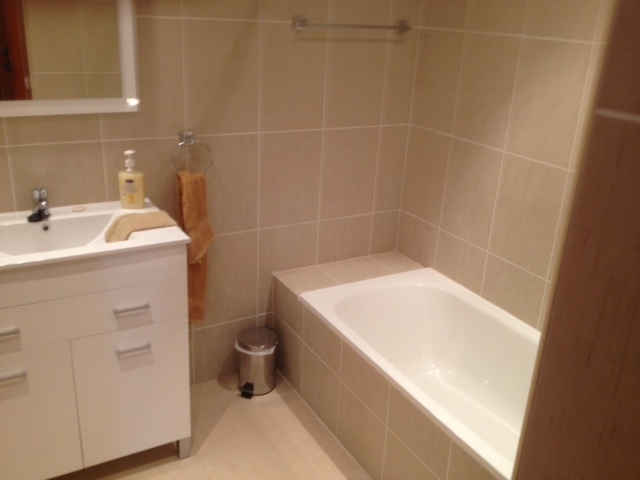 full size Bath with shower, vanity unit, hair dryer. Bedroom 2, Twin beds, ceiling fans, dressing table and wardrobe fitted safe.,french doorsto small balcony. 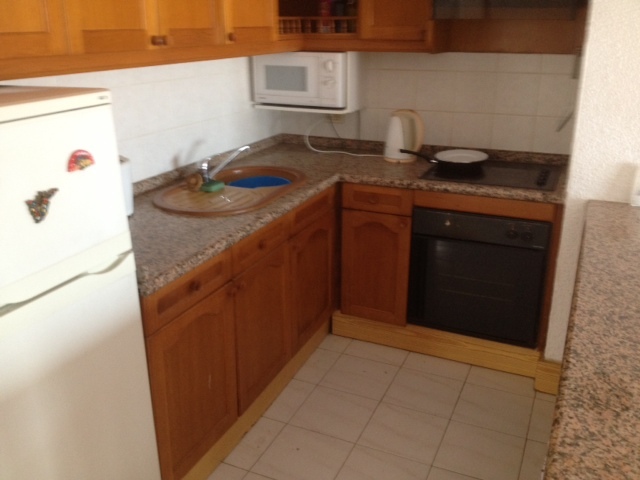 Kitchen, Full cooker, with oven, hob, extractor fan, kettle, toaster, fridge, microwave breakfast bar. washing machine.Iron. Loungecomfortable settee and matching arm chairs, coffee table, HD TV, with English channels, inc Some Sky sports, DVD player, ceiling fan, French doors to balcony. Price. The Total cost is from £400pwIf you wish i can Email you a booking form, detailing deposit payment methods. We can also arrange welcome packs should you require. 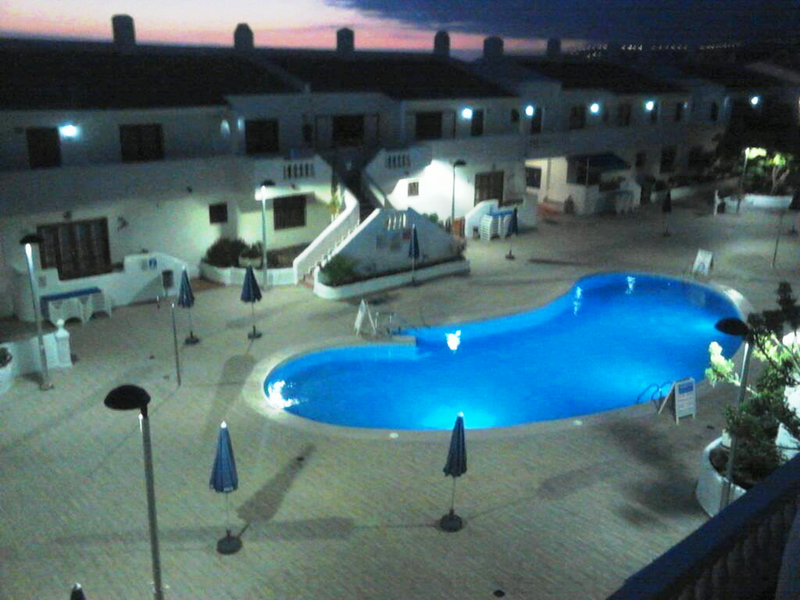 Port Royale is a Andalucian-style complex, It is situated on a hillside overlooking Los Cristianos town and harbour. The complex has attractive and well maintained gardens in and around it. The complex is very popular yet quiet and relaxing. It has its own communal pool which is heated for 5 months of the year, from the end of October to the end of March - heating is no longer necessary after this time. During the winter months, the pool is heated to approximately 28°C. There is also a large sun terrace. Sun loungers and umbrellas are available at the poolside free of charge. The complex has an Italian restaurant and takeaway on site and also has a launderette and . A well-stocked supermarket is only 200 yards away. The complex is located adjacent to two large 4 star hotels which provide excellent evening entertainment programmes.